There’s not many places I’m excited enough to write about twice – the ever wonderful Hawksmoor and Maltby Street Market/Bermondsey Beer Mile being notable exceptions – but when Carl Clarke announced that a second branch of his Kingsland Road fried chicken shop, Chick'n'Sours, was coming to Covent Garden and they would be bringing their famous whole Fry Sundays, I knew what I had to do. 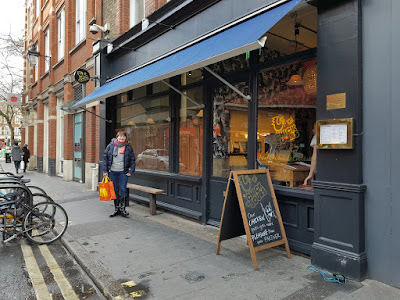 As I pontificated at length after my first visit to the original branch, their Original Fry – served sprinkled with seaweed ‘crack’, as if it wasn’t moreish enough – is still amongst the best fried chicken I have eaten; and I know my crispy poultry. Not to mention the sticky Szechuan aubergine, so good we ordered it twice, and their Thai-inspired pickled watermelon salad that I’ve never been able to quite recreate at home. I also like to think of myself as a bit of connoisseur when it comes to a sour cocktail - the conceit making up the second part of their name – after drinking a few in my time. 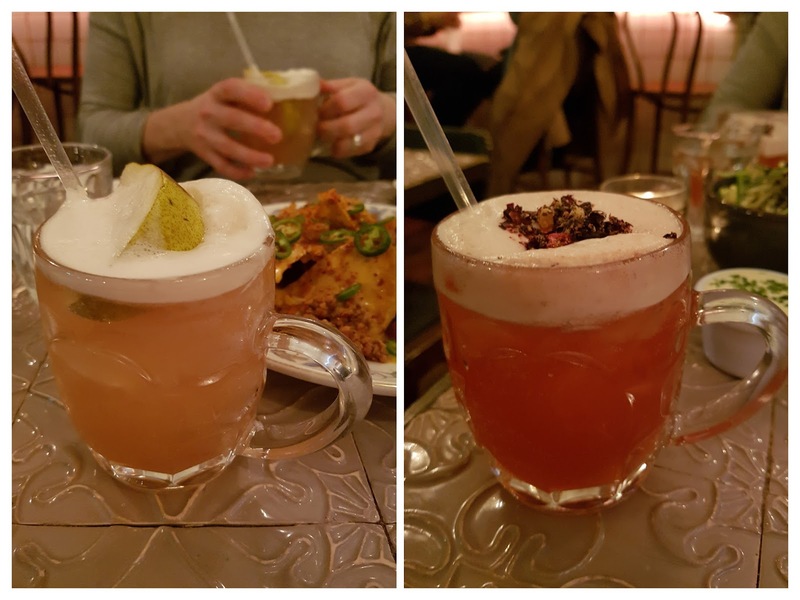 The Ewing, who shakes up the most awesome Sidecars, has even more experience in this niche field and judged the Rye'n'Black sour with red and pear as good – although missing that acerbic killer punch - while the original Chick'n'Club, with apple freeze dried berries, was even better. 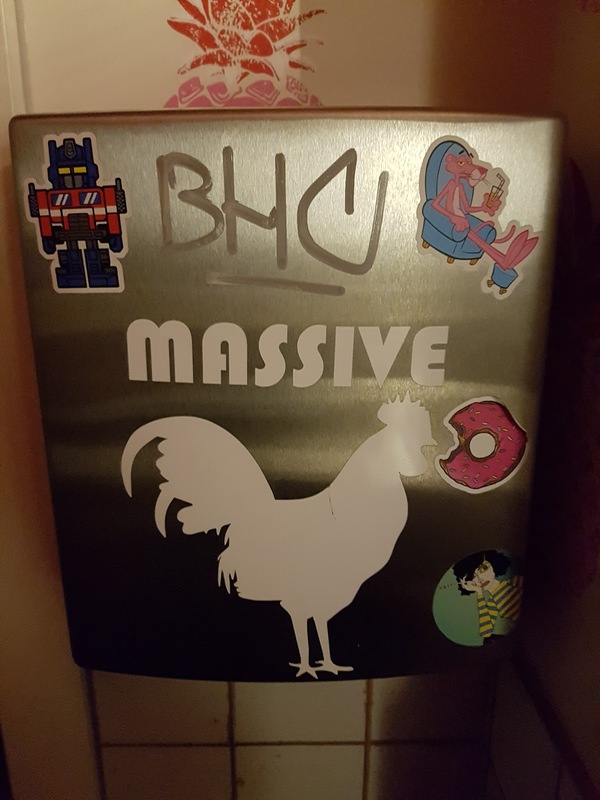 Both made great appetite sharpeners, especially when imbibed along to fantastic soundtrack of New Order, Deacon Blue and the Communards. 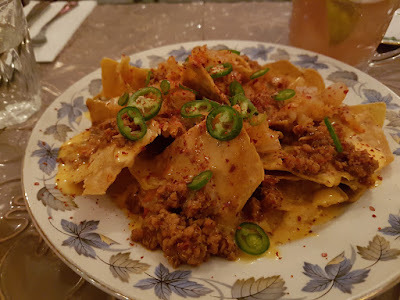 While a starter seemed entirely superfluous, knowing how much food was already on its way, I couldn’t pass up one of the newest additions to the menu; Mexi-nese nachos – a hybrid dish of Chengdu chicken and bacon (an intensely spiced, meaty ragu), green chillies and kimchi cheese sauce, A glorious combination of salty, crunchy and cheesy, peppered with bursts of bright chilli heat. While my experiences with home deep fat frying are limited after I got rid of our fryer - to the unbridled delight of the Ewing, who was happy to sample the finished goods but was less enamoured with the grease and dust and trails of stale oil from another abandoned experiment – I know the difficulties of getting that crisp carapace while heating the insides right through. A lesson bitterly learnt after a batch of arancini with a black crust and a stubbornly solid cheesy centre. 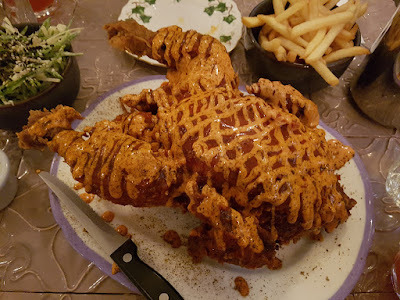 So quite how the chefs manage to batter and fry a whole chicken so the coating is crisp and golden, the breast is still tender and those tricky little crevices where the legs and wings meet the body are fully cooked through is quite the mystery. But manage it they do, and the result is this (quickly demolished) burnished beauty, ordered K Pop style with the addition of extra squiggles of gochujang mayo and chilli vinegar zig-zagged in a Jackson Pollock-esque way across the top. Even in giant form, I maintain this is as fine as fried chicken gets; poultry perfection that rivals even the classic roast for the best Sunday dinner. 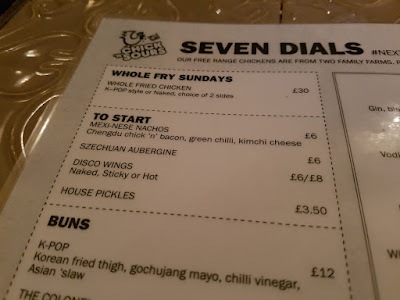 The hot and sour Korean sauces served with the chook were perfectly tempered by our choice soothing sides. 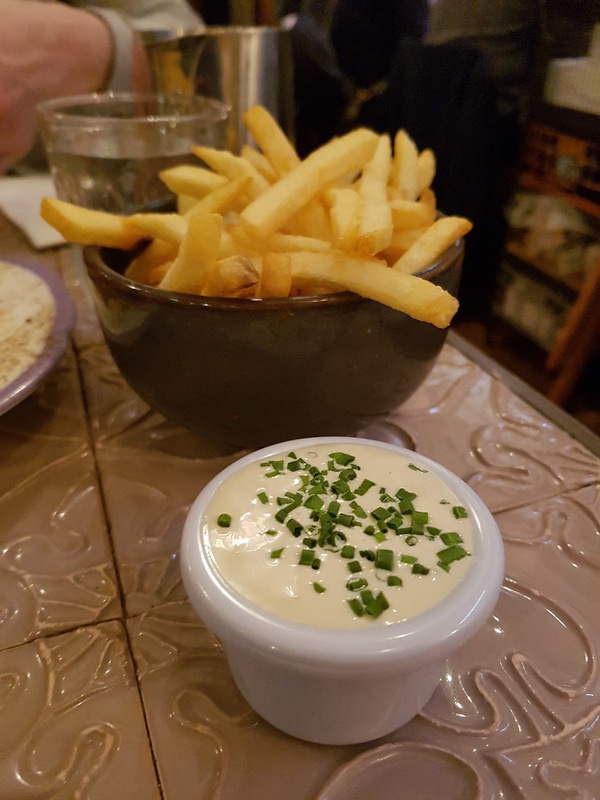 The dripping fries, ordered with an awesome St Agur creamy blue cheese dip, were rated by the Ewing as McDonald's scale good (a ringing endorsement). 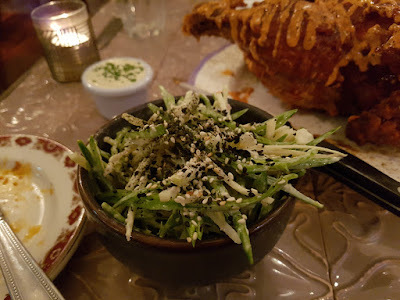 While a dish of crisp green slaw, made with shredded sugar snaps in a tangy dressing and topped with black sesame seeds, was exceptionally good. 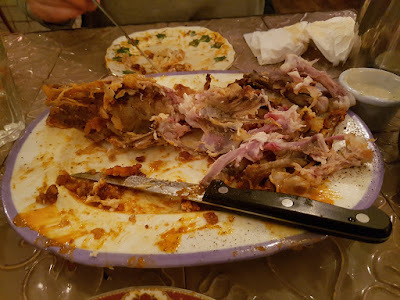 In fact, with the nachos and chicken that had come before it, it’s a testament to its deliciousness that this was still possibly the best thing I ate all afternoon. As Einstein (probably didn’t) say ‘insanity is doing the same thing over and over again and expecting different results’. 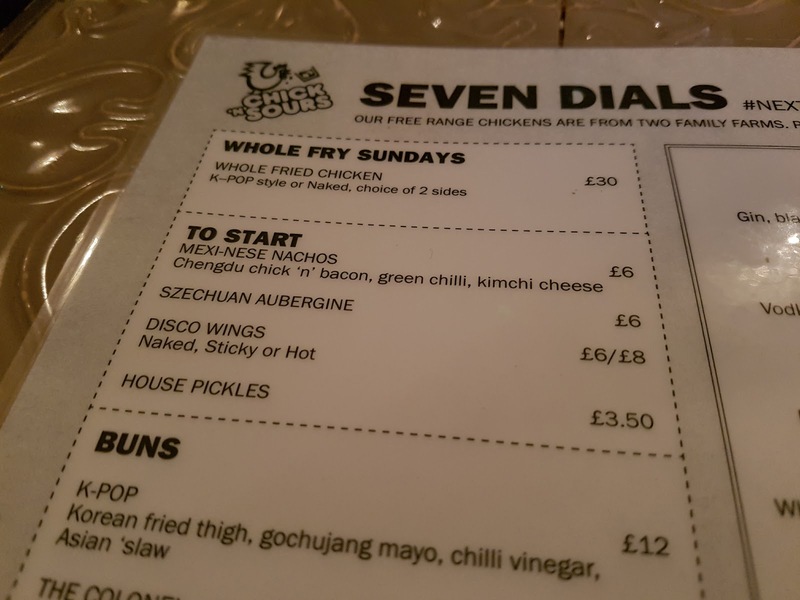 In this case I’m quite happy to confirm I’m completely lucid and the chicken (and everything else) is just as good at the Seven Dials branch – possibly even better as it’s far easier to get to for those on the west side. Although I’ve already persuaded the Ewing there’s no harm in returning to properly test the hypothesis.